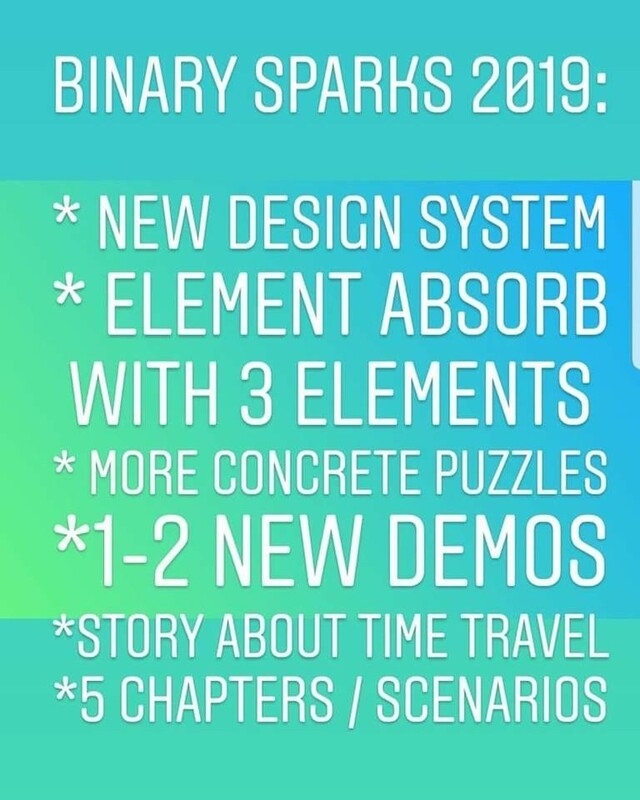 29/12 - what will happen to binary sparks 2019? 15/12 - GAME design finished! The new game design of Binary Sparks is almost finished (with some eventual expanding), and now we're playing around with the new visuals. This is just a first draft / test for now. We will hire a concept artist to help us elevate the visuals even more! We're going for a abandoned / overgrowth lab look. Here are some cool puzzle games that inspire us!